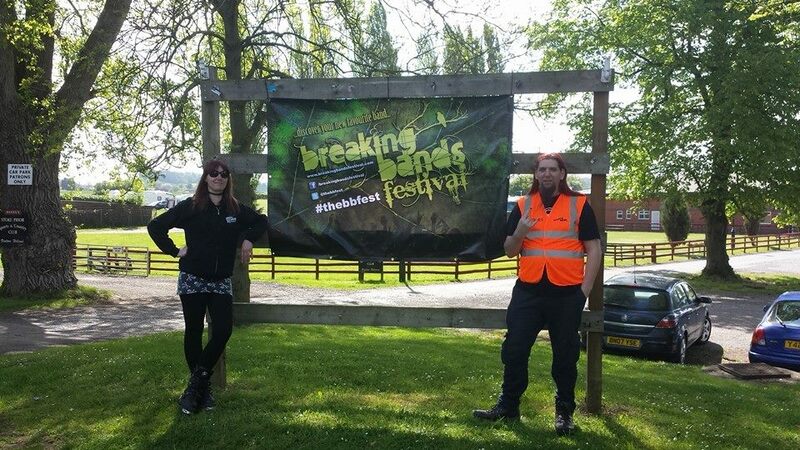 Breaking Bands Festival was a brand new event to be added to the music calendar of 2015. 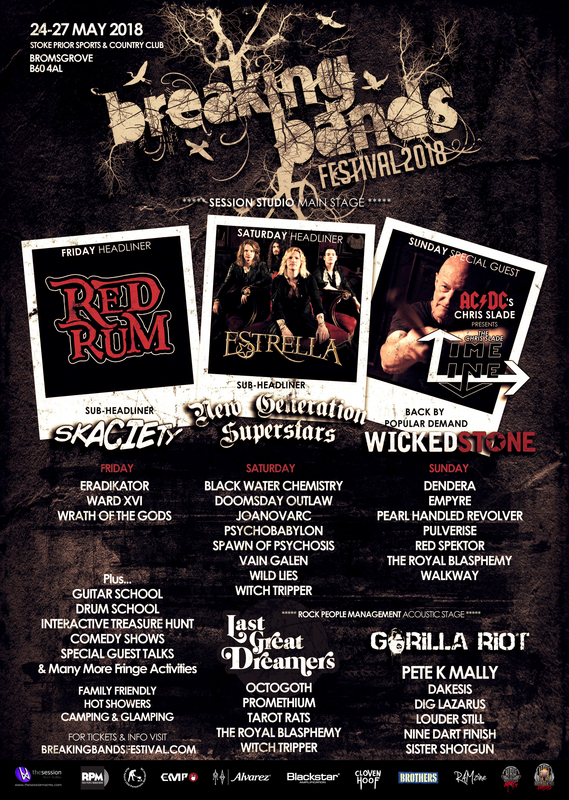 The sole aim of the event is to bring the very best of the bands of the future into one place to open up the festival season and show what they can do. 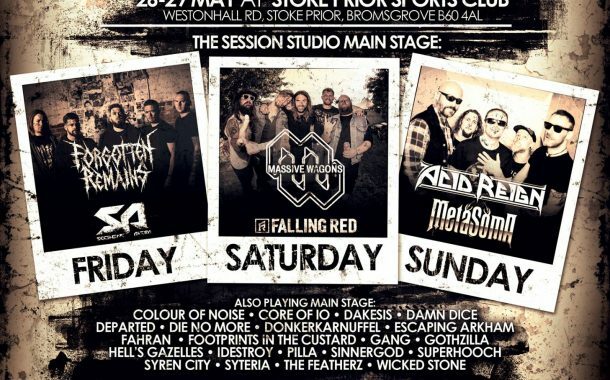 The event opens up late May bank holiday weekend with 3 days action packed with rock, punk and metal bands from all over the UK mixing up the genres so there is always something for everyone. Taking notes from the past 20 years of attending festivals and events, the organisers have put a year of planning into the good, the bad and the ugly to come up with a festival they would pay to go to themselves. 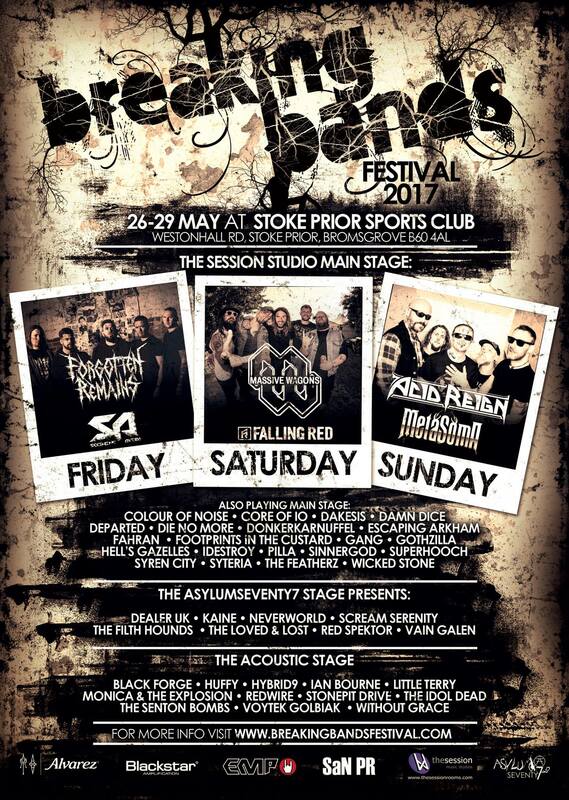 Rounding off each day, the organisers have specially selected bands of a higher level but still within reach of their fans. Bands that the future bands would like to level up to and bands that do not have the ego attached to them of being super rockstars. 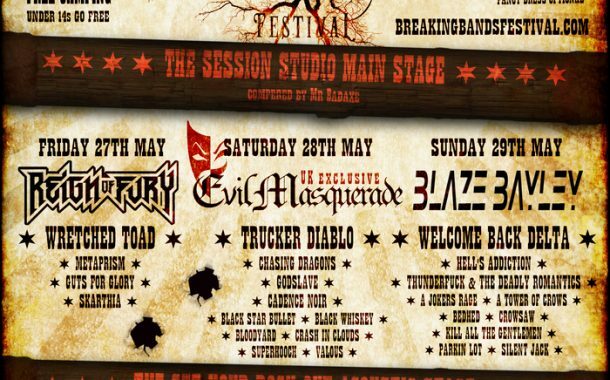 These additions will be special guests invited by the festival to not only play for the fans but for the bands too. We had Breed 77 close out year 1 with a fantastic send off as they announced their retirement live on stage. Year 2 we had ex Iron Maiden frontman Blaze Bayley who also delivered an amazing speech to the bands saying that he like them, is a Breaking Band. 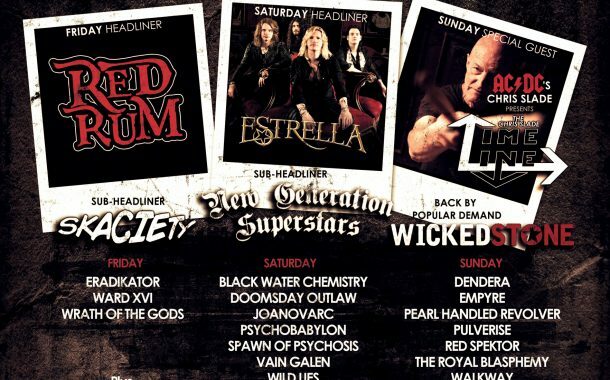 Year 3 saw a return from a 24 year hiatus for Acid Reign and year 4 sees AC/DC’s drummer Chris Slade with his 50 year timeline show featuring bands he has performed with over the last 5 decades. 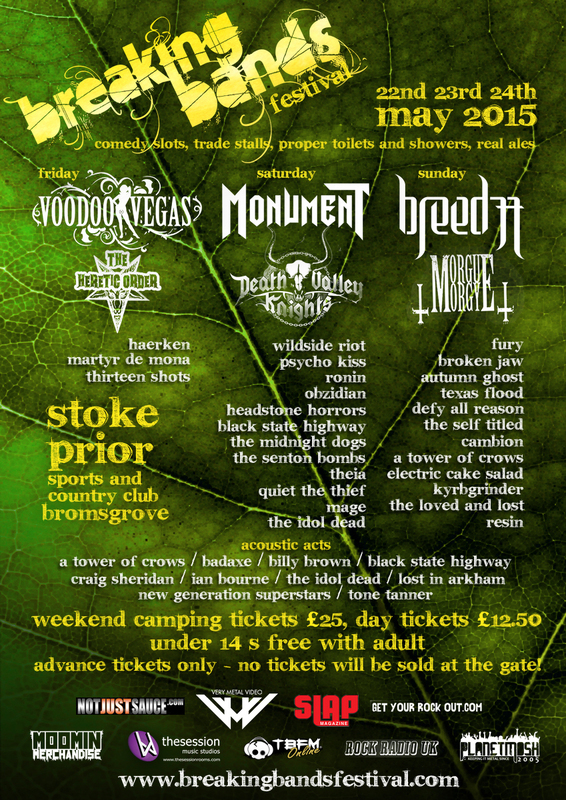 The festival is held at the fantastic Stoke Prior Sports & Country Club, Bromsgrove, well known for the very popular Beermageddon Festival in August each year. The festival sold out the inaugural event in 2015 with 4 weeks to spare. For 2016 with an increased capacity, the festival again sold out but this time with 10 weeks to spare, this trend continued into 2017 when the festival sold out a full 3 months ahead. 2018 festival is on the way to selling out and plans for another expansion for 2019 are already in motion and awaiting final approval. 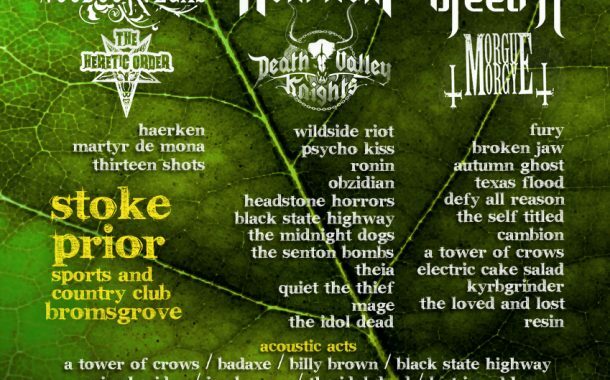 The organisers have promised a festival that people will want to return to again and again. 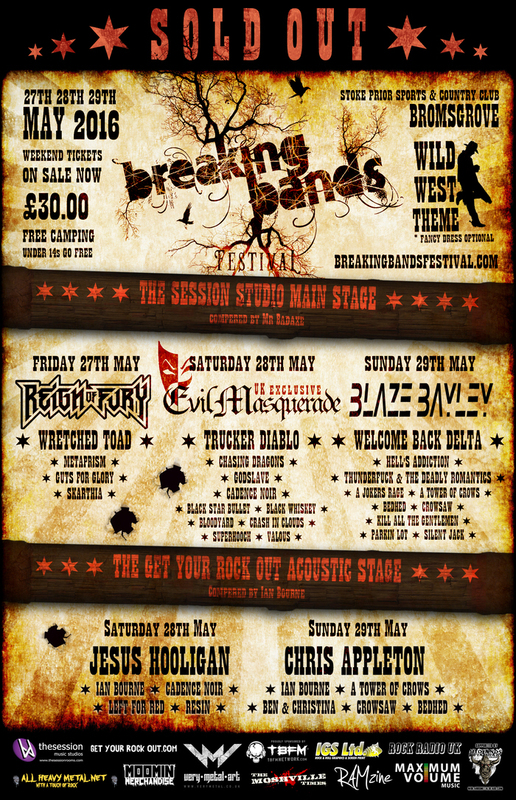 Welcome to the Breaking Bands Festival, where you can discover your new favourite band.